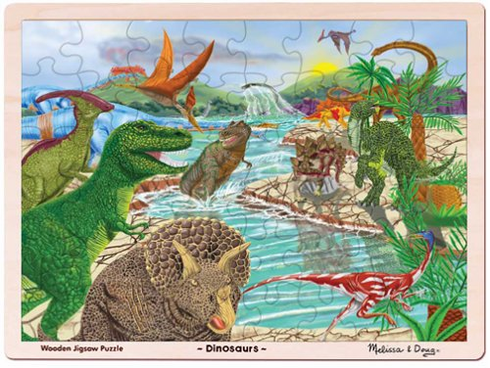 The land of giant dinosaurs comes to life in this Melissa & Doug classic jigsaw puzzle! Discovering all the fun details in this picture will be an adventure for the assembler! This wooden, 48-piece jigsaw puzzle comes packaged in a sturdy, wooden tray for puzzle building and easy storage.